Be the Heroine of Your Own LifeWhat does that mean, you ask? With Blue Sky Sage, it means you will be in a place that can show you how to take the reins of your life back into your own hands and liberate yourself from whatever may be holding you back. 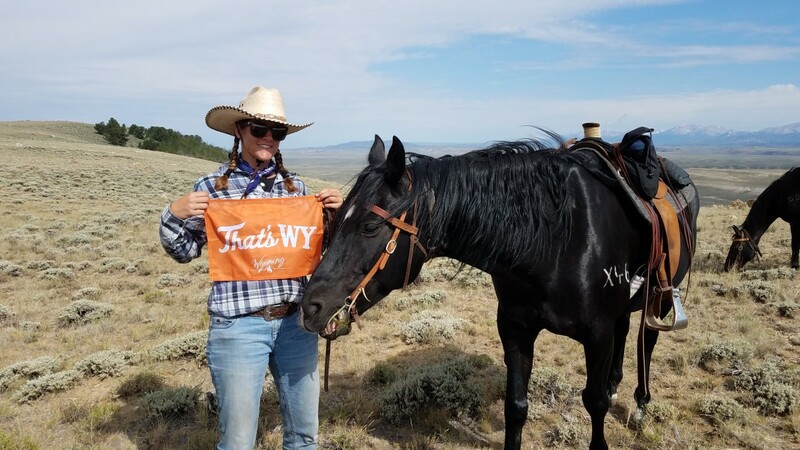 With a willing horse partner to carry you, and the wide-open spaces as the dōjō, the possibilities for you to prioritize your own healing, health, and serenity of heart and mind are as vast as the blue Wyoming sky. 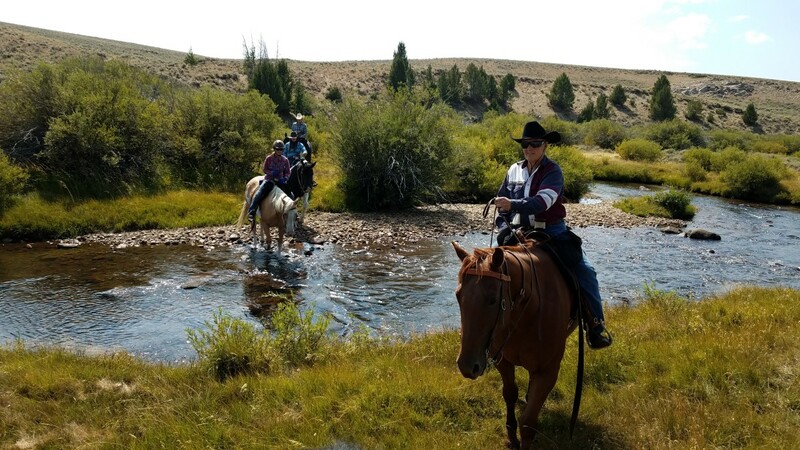 You can hold your own space out here, whether you are meditating in the saddle or soaking in the creek, in the peace to be found with Mother Nature. Kindred Horsemanship The horses are the masters. This is your chance to immerse yourself in a safe, challenging, joyful and supportive equine relationship, with horses that are willing to help you learn and grow in your horsemanship. We view the horse as a working partner that can offer a path toward physical, mental, emotional and spiritual healing, learning and growth. 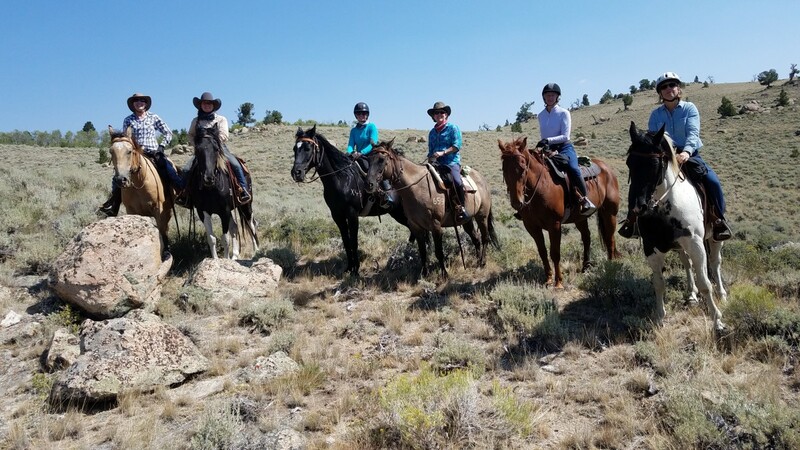 The Blue Sky Sage horses are selected and refined specifically for the challenge of open range riding, the terrain, and to be accepting of different riders.Outdoor Living in Comfort, Safety and SecurityRetreat from your day-to-day life, so you can reconnect to your better self. Be embraced by Mother Nature next to a live water creek or in a grassy meadow of wildflowers and tall grass, offline and off-the-grid. 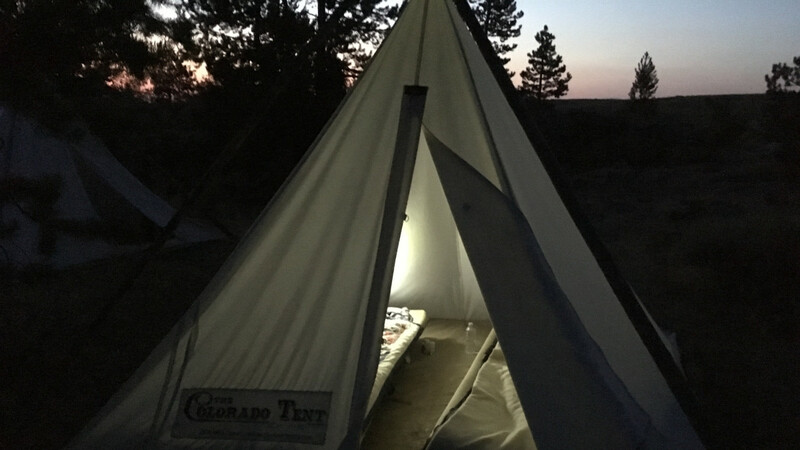 Life can be soothing and simple in a cozy tipi lodge that is comfortably appointed to offer privacy, and deep, restful sleep, with tranquil sounds of the night to settle your mind and calm your soul. Think of this space as your personal retreat, open for you to find your way to becoming more mindful and introspective, and where you can rejuvenate, relax, and rest. Riding Meditation The wide-open spaces are your dōjō. Wyoming is blessed with 100-mile vistas stretching between the horizons. Find yourself along the banks of the Little Sandy River as it winds its way like a ribbon of refreshment from the high mountain glaciers of the Wind River range. 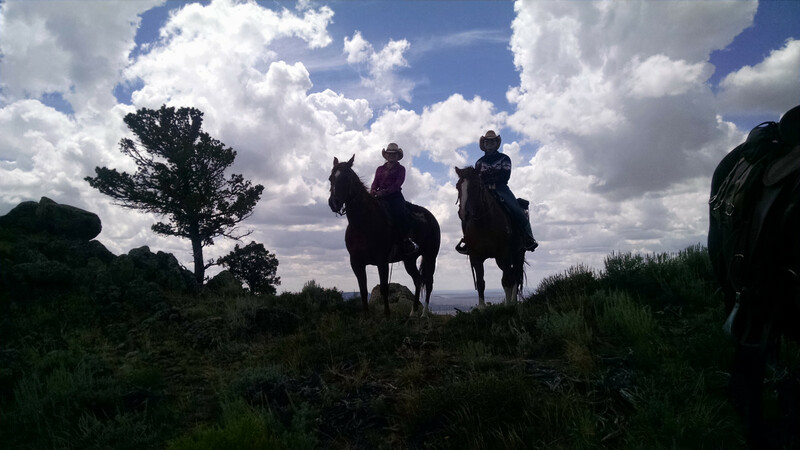 Ride and meditate on the Continental Divide as you cross the Great Divide Basin or while you wander quietly along the Sweetwater River. In this expansive and pristine western landscape, you can find freedom for your heart and soul.